We Buy all forms of Platinum Sweeps. Sell scrap Platinum sweeps directly to the refiner, and get the most money for Platinum. 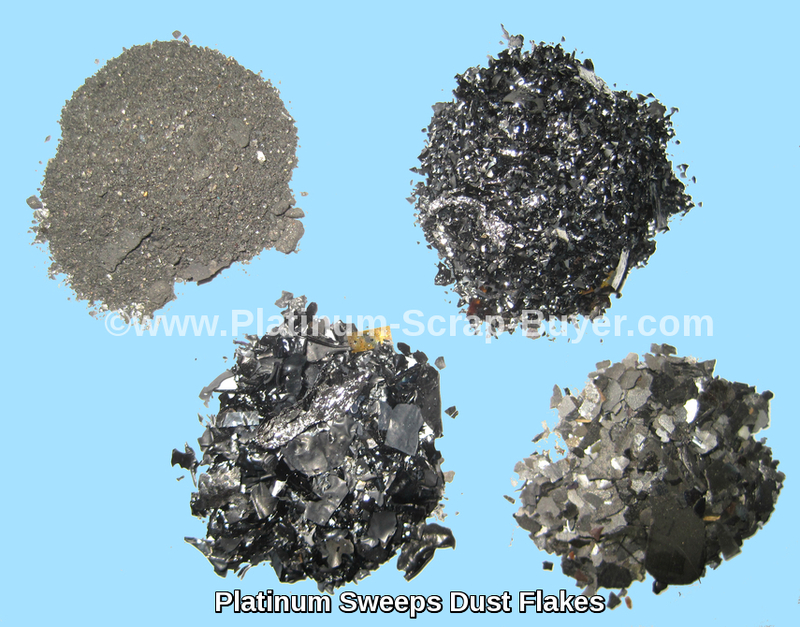 Platinum sweeps can come in a variety of forms and colors, ranging from very fine powders to chunks or flakes, and from a light silver grey to a dark black. Platinum sweeps come from a variety of industries and manufacturing processes. Platinum sweeps are created whenever a physical milling on a platinum piece occurs, such as drilling, filing, or polishing of a platinum part. There are also platinum sweeps from various powders or liquids during manufacturing. Any papers or plastics used in platinum production or cleaning can contain platinum traces as well. Sell your Platinum Sweeps to us today, We pay the most for your Platinum Scrap. We are the actual refiner of the Platinum so you are dealing with the direct source and not a middleman. We use the latest in refining methods and equipment to efficiently refine your Platinum Sweeps.